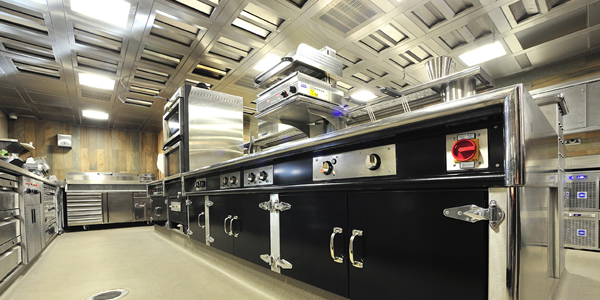 Our Ventilated Ceilings are a made to measure solution for commercial kitchens. 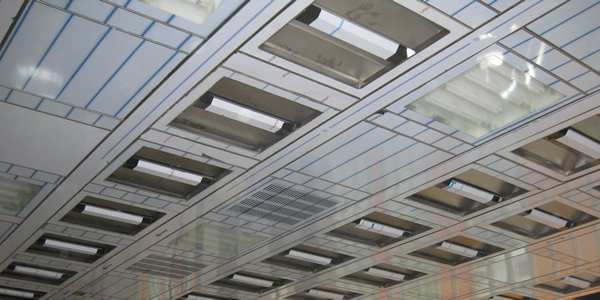 Where it’s not practical or environmentally possible to fit canopies, or in fact where a more aesthetic look is required Ventilated Ceilings are an excellent choice. They can be fitted in any commercial kitchen and can provide a spectacular visual appearance and create a bright and airy atmosphere to the room. 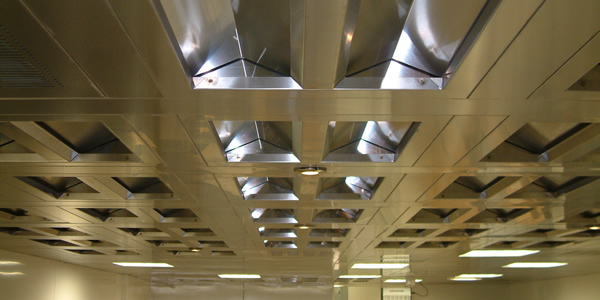 Ventilated Ceilings cover the whole ceiling area of a kitchen removing the need for individual canopies. Aesthetically very pleasing but more expensive than canopies they do become a financially viable option in kitchens that have several cooking areas and therefore need otherwise several canopies. Minimises obstructions and provides an uncluttered and clean view of the kitchen work area. Increased extraction coverage improving working conditions.